Every mother knows best, but New Yorker writer Patty Marx's knows better. Patty has never been able to shake her mother's one-line witticisms from her brain, so she's collected them into a book, accompanied by full color illustrations by New Yorker staff cartoonist Roz Chast. Each ticket purchase includes a copy of Why Don't You Write My Eulogy Now So I Can Correct It? 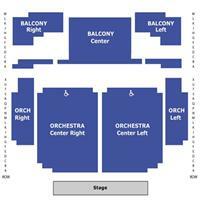 : A Mother's Suggestions which will be available for pick-up at the event at the Englert Theatre. 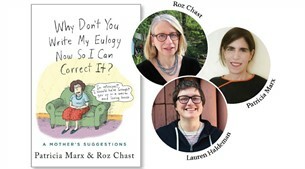 Patricia Marx & Roz Chast will be happy to sign books after the event. Tickets will not be mailed. DO NOT LOSE YOUR TICKET. We CANNOT replace lost tickets. YOU MUST HAVE YOUR TICKET TO OBTAIN YOUR COPY OF THE BOOK. Additional books will be available for sale at the event.